The XC70 takes everything that's good about Volvo's enduring V70 estate and adds a bit of SUV utility and ability to it. The XC70 takes everything that's good about Volvo's enduring V70 estate and adds a bit of SUV utility and ability to it. Chunkier styling, raised suspension and four-wheel drive - on some models - make for a more rounded, capable proposition. One to buy if you need its extra capability, but for most a standard V70 will fit the bill, and cost less. 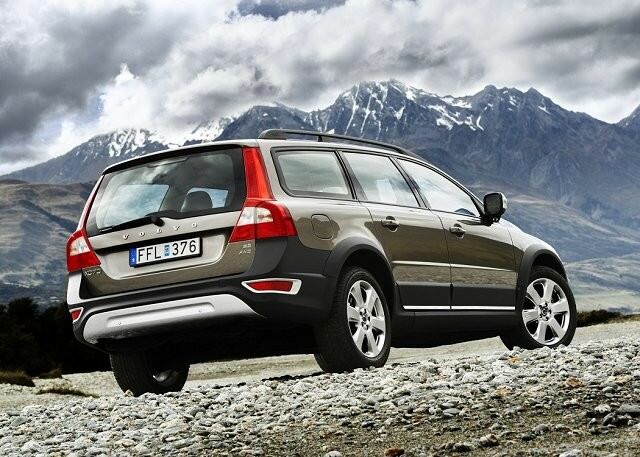 A Volvo estate, only more capable, the XC70 takes the standard V70 and adds some height and SUV looks. The raised suspension means more ground clearance should you need it, but not every XC70 is actually four-wheel drive; the smaller 2.0-litre turbodiesel engines were only offered with front-wheel drive in a bid to improve economy. The 2.4-litre five-cylinder diesel engine comes with four-wheel drive, giving the XC70 some useful off-road ability, if not the mountain-goat prowess of true off-roaders like Land Rover's Discovery. If you're not out in the country, or up a tricky rutted farm track, that lack of four-wheel drive might not be such a concern. The raised suspension appeals insomuch as it affords a better view ahead, while it also aids ingress and egress from the spacious cabin. Boot space is vast, while XC70s benefit from harder-wearing, easier to clean carpets than their non-wellie-booted relations. While the image might be outdoorsy the XC70's actually a very useful town car. Those butch bumpers and plastic additions to the body's flanks and wheelarches are all the better for shrugging off parking knocks and dings, while that suspension's useful for clambering over speed bumps and dealing with broken tarmac. Specifications follow that of the rest of the Volvo range, so ES, SE and SE Lux add varying degrees of equipment, but even the entry-level models cover everything you could possibly want. Automatic gearboxes are more desirable, as is the optional Winter Pack, which adds heated front seats, a heated windscreen and automatic wipers to the already decent standard equipment list. Undoubtedly we'd recommend going for the 2.4-litre diesel model with four-wheel drive, unless you live in town of course. The trim level doesn't matter so much as they're all well-equipped. The XC70 is a more rugged take on Volvo's traditional estate formula that adds some usefulness to an already large and capable car. It only really makes sense in four-wheel drive form; otherwise you might as well save some money and have a regular V70.